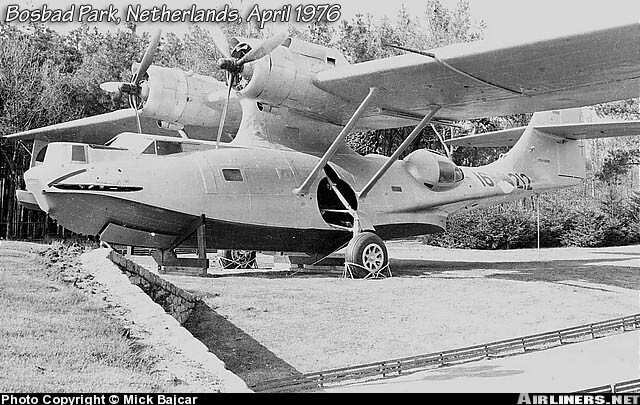 Delivered to MLD/Dutch Navy as 16-212. - SOC: July 7, 1957. - Loaned to Bosbad Amusement Park, Hoeven, Holland, Aug. 2, 1957-1982. Militaire Luchtvaart Museum, Soesterburg AB, Oct. 1982-2002. - Trucked to Gilze-Rijen AB for restoration, 1982. - Displayed as MLD/16-212 from 1984-1996. - Trucked to Valkenburg AB for static restoration, Apr. 1996-2002.